The Middle East. Could there be a more perilous place on Earth, including North Korea? Not likely. The planet’s two leading nuclear armed powers backing battling proxies amply supplied with conventional weapons; terror groups splitting and spreading; religious-sectarian wars threatening amid a plethora of ongoing armed hostilities stretching from Syria to Iraq to Yemen. And that was before U.S. Pres. Donald Trump and his team arrived on this chaotic scene. If there is one region where a single spark might start the fire that could engulf the globe, then welcome to the Middle East. As for sparks, they are now in ample supply. At this moment, Trump’s foreign policy agenda is a package of contradictions threatening to reach a boiling point in the region. He has allied himself firmly with Saudi Arabia even when his secretaries of state and defense seem equivocal on the subject. In the process, he’s come to view a region he clearly knows little about through the Saudi royal family’s paranoid eyes, believing staunchly that Shia Iran is hell-bent on controlling an Islamic world that is 85 percent Sunni. Trump has never exactly been an admirer of Iran. His growing hostility toward Tehran — and that of the Iranophobic generals he appointed to key posts — has already led the U.S. military to shoot down two Iranian-made armed drones as well as a Syrian jet in 12 days. This led Moscow to switch off the hotline between its operational center at the Khmeimim Air Base in Syria and Al Udeid Air Base in Qatar, the major American military facility in the region. No one should be surprised by any of this once Trump inserted himself, tweets first, in the violent and crisis-ridden Middle East. After all, he possesses an extraordinary capacity to create his own reality. He seems to instinctively block out his failures, and rushes headlong to embrace anything that puts him in a positive light. Always a winner, never a loser. Such an approach seems to come easily to him, since he’s a man of tactics with a notoriously short attention span, which means he’s incapable of conceiving of an overarching strategy of a sort that would require concentration and the ability to hold diverse factors in mind simultaneously. Let’s examine how complicated and potentially treacherous all of this is. In the early days of the Trump administration, an outline of its Middle Eastern strategy might have appeared something like this — the White House will pressure the Sunni Arab states to commit their cash and troops in a coordinated way to fighting the Islamic State under the leadership of the Pentagon. Along with this, the State Department and the Pentagon would explore ways to break Moscow’s military and diplomatic alliance with Tehran in a bid to end the Syrian conflict and bolster the fight against ISIS. This reflected a lamentable ignorance of the growing strength of the ties between Russia and Iran, which share borders on the Caspian Sea. This relationship dates back to August 1992 when Russian Pres. Boris Yeltsin’s government signed a contract to construct and operate two nuclear reactors near the Iranian city of Bushehr. The two countries then inked an agreement to build two new reactors at the Bushehr site, with an option for constructing six more at other locations later. These were part of a partnership agreement signed in November 2014 and overseen by the International Atomic Energy Agency. Military cooperation between the Kremlin and Tehran can be traced back to 2007 when Iran inked a $900 million contract for five Russian S-300 long-range missile batteries. Because of U.N. Security Council sanctions on Iran over its nuclear program in 2010, those missile deliveries were suspended. However, three months before Tehran signed its landmark nuclear deal with six world powers, including Russia and the U.S., in July 2015, Moscow started shipping an upgraded version of the S-300 missiles to Iran. In September 2015, the Kremlin intervened militarily in Syria on the side of Pres. Bashar Al Assad. By then, Iran had long been aiding the Syrian government with weapons and armed volunteers in its five-year-old civil war. This led Moscow and Tehran to begin sharing military planning over Syria. Two months later, Russian Pres. Vladimir Putin arrived in Tehran for a summit of the Gas Exporting Countries Forum and met with Iran’s Supreme Leader, Ayatollah Ali Khamenei, who praised him for “neutralizing Washington’s plots.” Khamenei also suggested that economic relations between the two countries could “expand beyond the current level.” To the delight of Iranian leaders, Putin relaxed an export ban on nuclear equipment and technology to their country. In August 2016, Tehran let the Kremlin use Hamadan Air Base in western Iran to launch air strikes on a wide range of targets in Syria, thereby enabling the Russian air force to cut flying time and increase payloads for its bombers and fighter jets. Just as Trump entered the Oval Office, Moscow-based Sputnik News reported that Tehran was considering buying Russian fighter jets, while the two countries were discussing a joint venture that would allow Iran to manufacture Russian helicopters under license. Next, let’s turn to Donald Trump. In his 2016 campaign run, Trump’s animus toward Iran sharpened only after he imbibed the apocalyptic and Islamophobic views of retired Lt. Gen. Michael Flynn who would become his first national security adviser. In Flynn’s fixation on the threat of “radical Islam,” with Iran as his linchpin nation in plots against the West, he conflated Iranian-backed Shia radicalism with Sunni jihadism. In the process, to fit his rabid thinking he ignored the theological and other differences between them. Though Flynn was soon pushed out of the White House, Trump mirrored his views in a speech at an anti-terrorism summit of 50 leaders from Arab and other Muslim countries during his May visit to Riyadh. In it he went on to lump Iran and the Sunni jihadis together as part of the same “evil” of terrorism. On June 7, Trump’s claim visibly shattered. 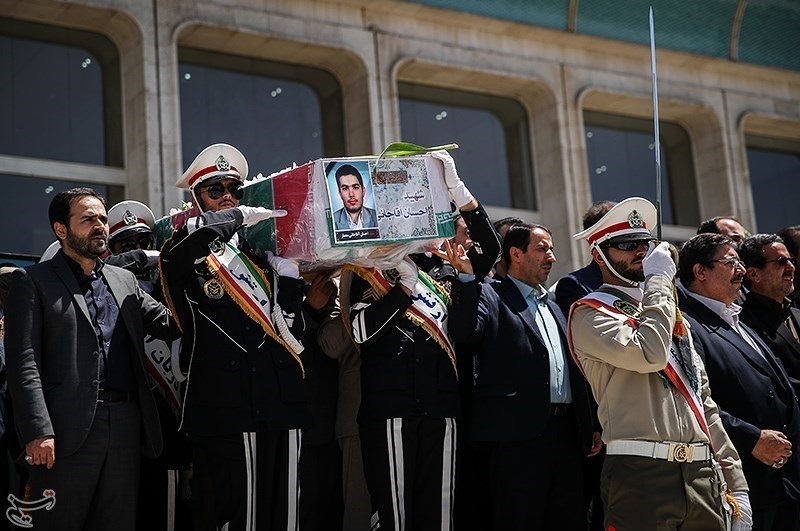 On that day, six ISIS gunmen and suicide bombers, dressed as veiled women, attacked the Iranian Parliament complex and the mausoleum of Ayatollah Ruhollah Khomeini, the founder of the Islamic Republic of Iran, killing at least 17 people and injuring more than 50. When it came to selecting targets in the Saudi kingdom, the ISIS branch there chose mosques of the Shia minority. The first of these suicide bombings occurred in May 2015 in Al Qadeeh village in Eastern Province during Friday prayers, and left at least 21 people dead and more than 80 injured. In an online statement, ISIS took credit, claiming that “the soldiers of the Caliphate” were responsible and forecasting “dark days ahead” for the Shias. Recently, Shias in Saudi Arabia have been alarmed by the incendiary speeches of the preachers of the Wahhabi version of Islam, the official faith of the kingdom. This sub-sect is named after Muhammad bin Abdul Wahhab (1703-1792), who vehemently opposed the Shia practice of praying at the shrines of their saints and calling on such holy spirits to intercede on their behalf with Allah. He was convinced that there should be no intermediaries between the believer and Allah, and praying to a human being, dead or alive, however holy, was tantamount to polytheism, and therefore un-Islamic. He and his followers began demolishing Shia shrines. Today’s ISIS ideologues agree with Wahhab’s views on this and denounce Shias as apostates or heretics who deserve to be killed. 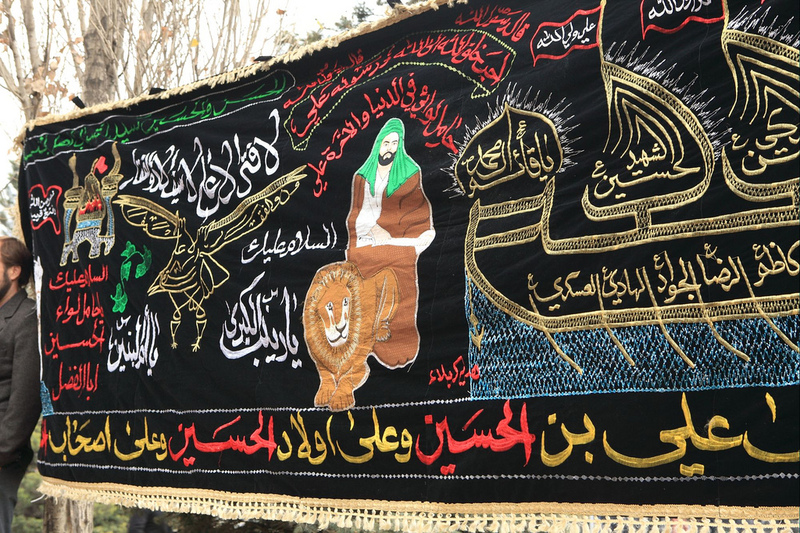 Within Shia Islam, there are four sub-sects, depending on how many of the 12 Imams — or religious leaders of the highest rank — a Shiite recognizes as such. Those who recognize only the first Imam Ali are called Alawis or Alevis and live mainly in Syria and Turkey. Those who do so for the first five Imams are known as Zaidis and live mostly in Yemen. The ones who recognize seven Imams are called Seveners or Ismailis and are scattered across the Muslim world, and those who recognize all 12 Imams, labeled Twelvers, inhabit Iran, Iraq, Bahrain and Lebanon. Twelver Shias also believe that the last Imam, the infant Muhammad Al Qassim, who disappeared around 868 AD, will return someday as the Messiah to bring justice to the world. It was this aspect of Iranian Shiism that the 29-year-old Saudi Defense Minister Prince Mohammad bin Salman, recently anointed Crown Prince and successor to his 81-year-old father King Salman, focused on in an interview with Dubai-based, Saudi-owned Al Arabiya T.V. Only a clueless person would bet on Trump parsing Shia Islam or grasping the basic doctrine of Wahhabism. By contrast, nobody would lose a bet on him instantly tweeting the latest thought that crosses his restless mind on any Middle Eastern subject. To complicate regional matters further, the first crisis of the post-Trump visit involved not Iran or Shias but Qatar, a tiny Sunni emirate adjoining Saudi Arabia. Its transgression in Saudi eyes? 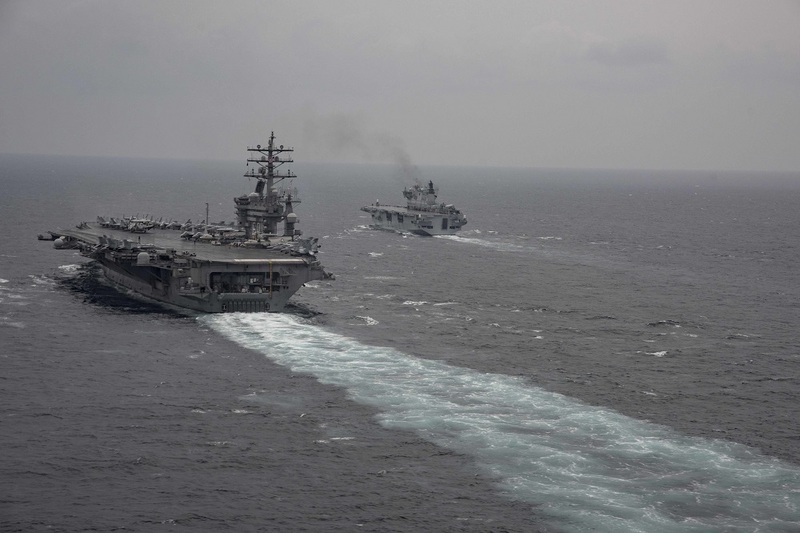 It has had the temerity to maintain normal relations with Iran across the Persian Gulf. Soon after he accused Qatar of being a “funder of terror at a very high level” and, backing the Saudis to the hilt, demanded that the emirate should cut off that supposed cash flow. A rejoinder came from none other than the American ambassador to Qatar, Dana Shell Smith, when she retweeted a U.S. Treasury Department statement praising Qatar for cracking down on extremist financing. In fact, military cooperation between Doha and Washington began in early 1992 in the wake of the First Gulf War. A decade later the Qatari-American military relationship received a dramatic upgrade when the Bush administration started preparing for its invasion of Iraq. Saudi Arabia’s de facto ruler at the time, Crown Prince Abdullah bin Abdul Aziz, refused to let the Pentagon use the state-of-the-art operations facility at Al Kharj Air Base it had built up for air strikes against Iraq. That was when Qatar’s emir came to Washington’s rescue. He allowed the Pentagon to transfer all its equipment from Al Kharj to Al Udeid Air Base, 25 miles southwest of Doha, the Qatari capital. It would become the U.S. military’s key facility in the region. At the time of the latest crisis, Al Udeid held no less than 10,000 American troops and 100 Royal Air Force service personnel from Great Britain, equipped with 100 warplanes and drones. Air strikes on ISIS targets in Afghanistan, Syria, and Iraq are launched from this base. 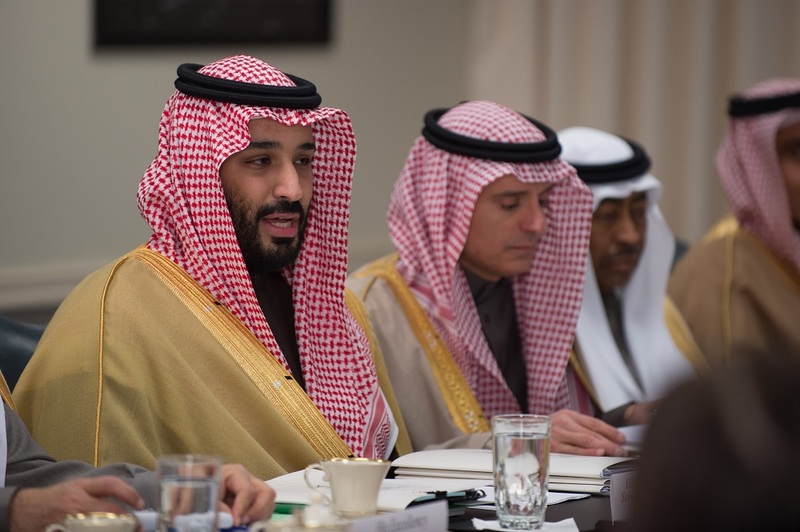 Worse yet, policymakers in Washington failed to notice a fundamental flaw in the sectarian terms in which Saudi Arabia has framed its rivalry with Iran — a stark Sunni versus Shia clash. Tehran refuses to accept such a playbook. Unlike the Saudis, its leaders constantly emphasize the common faith of all Muslims. Every year, for instance, Iran observes Islamic Unity week, a holiday meant to bridge the gap between the two birthdays of Prophet Muhammad, one accepted by Sunni scholars and the other by Shia ones. On this issue, Iran’s record speaks for itself. With cash and weapons, it has aided the Palestinian group Hamas, which is purely Sunni since there are no Shiites in the Gaza Strip or the West Bank. It has maintained cordial relations with the transnational Muslim Brotherhood, an Islamic movement that originated in 1928 in overwhelmingly Sunni Egypt. The Saudis, once its prime financial and ideological backer, fell out with the Brotherhood’s leadership in 1991 when they opposed the stationing of U.S. troops on Saudi soil on the eve of the First Gulf War. In March 2014, Saudi Arabia declared the Brotherhood a terrorist organization, something the U.S. has not yet done — though the Trump administration is engaged in a debate on the subject. Riyadh’s hostility toward the Brotherhood stems largely from the fact that its followers are anti-monarchical, believing that ultimate power lies with the people, not a dynasty. As a result, the Sunni Brotherhood has cordial relations with the Islamic Republic of Iran, which held parliamentary and presidential elections even during its eight-year war with Iraq in the 1980s. In the latest presidential election, conducted on the eve of Trump’s arrival in Riyadh, the incumbent moderate Iranian Pres. Hassan Rouhani won, decisively beating his conservative rival. Riyadh has recently issued an aggressive list of demands on Qatar, including the closing of the influential Doha-based Al Jazeera media network, the limiting of its ties to Iran to trade alone, and the withdrawal of Turkish troops from a base on its territory. This ultimatum is set to fail on economic grounds alone. Qatar shares the North Dome-South Pars natural gas field with Iran. It is the largest field of its kind in the world. Its South Pars section, about a third of the total, lies in Iran’s territorial waters. The aggregate recoverable gas reserves of this field are the equivalent of 230 billion barrels of oil, second only to Saudi Arabia’s reserves of conventional oil. Income from gas and oil provides Qatar with more than three-fifths of its gross domestic product and most of its export income. 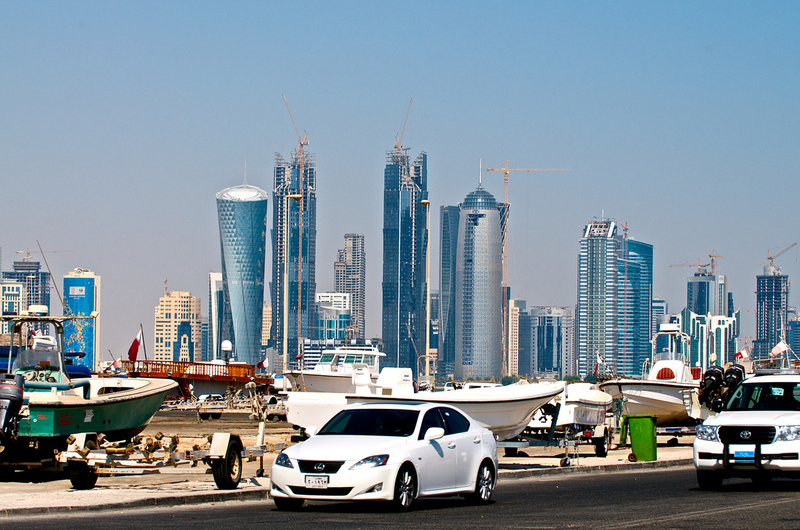 With a population of 2.4 million, Qatar has a per capita GDP of $74,667, the highest in the world. Given all this, Doha cannot afford to be adversarial towards Tehran. Qatar’s 12-year-old sovereign wealth fund, operating as the Qatar Investment Authority, has assets worth $335 billion. A third of these are invested in the emirate, but the bulk is scattered around the globe. It owns the Santa Monica-based film production company Miramax. It’s the fourth largest investor in U.S. office space, mainly in New York and Los Angeles. It also owns London’s tallest building, the famed Harrods stores, and a quarter of the properties in the upscale Mayfair neighborhood of London. Its Paris Saint-Germain Football Club has won four French soccer league titles and it’s the largest shareholder in Germany’s Volkswagen. Little wonder that, in response to the Saudi-led blockade of Qatar, no Western leader, aside from Trump, has sided with Riyadh, which has been stunned by this diplomatic setback. In retrospect, it’s clear that the four members of the anti-Qatar axis rushed into their drastic action without assessing that tiny country’s strengths, including the soft power exercised by its pan-Arab Al Jazeera satellite T.V. network. Unsurprisingly, their governments banned Al Jazeera broadcasts and websites and closed down its bureaus. Elsewhere in the Arab world, however, that popular outlet remains easily accessible. So far nothing has turned out as the Saudis or Trump anticipated. Qatar is resisting and Turkish Pres. Recep Tayyip Erdogan has flatly refused to withdraw his troops from the emirate, increasing the Turkish military presence there instead. From all this, an overarching picture emerges — that the impulsive Donald Trump has met his younger counterpart, Prince Muhammad bin Salman, equally impulsive and blind to even the medium-term consequences of his aggressive initiatives. In addition, in an autocratic monarchy without free speech, elections, or representative government, and with an abominable record on human rights violations, he lacks all checks and balances. The shared obsession of the prince and the president with Iran, which neither of them is able to comprehend in its complexity, has the potential for creating a true global crisis. If anything, the pressure on Trump in his imagined new world order is only increasing to do the Saudis one better and push a regime-change agenda in a big way when it comes to Iran. It’s a formula for disaster on a breathtaking scale. Dilip Hiro is the author of A Comprehensive Dictionary of the Middle East. His latest and 36th book is The Age of Aspiration: Power, Wealth, and Conflict in Globalizing India. This article originally appeared at TomDispatch.